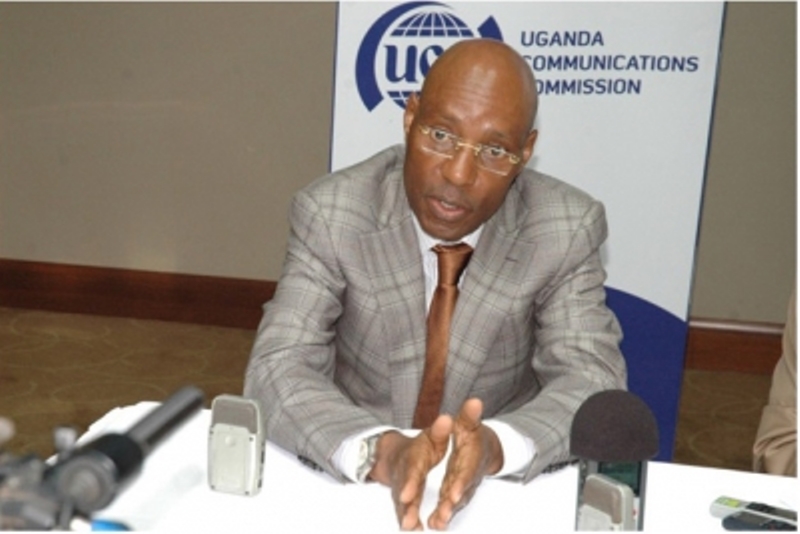 BUGOLOBI – The Executive Director of the Uganda Communications Commission (UCC) Mr Godfrey Mutabazi has indicated that the communications sector has become the lead country’s favourite investment destination. Mutabazi made the remarks in his end of year message where he also noted that the communications sector has experienced significant milestones that have enabled growth and provided variety in communication services. “The communications sector is a favorable investment destination today as our young population continues the uptake and makes use of ICT,” he says. He notes that the commission has continued to provide stewardship of communications markets, structures and conduct, through initiatives designed to promote sector competition, attract new investment as well as promote consumer interests. He says UCC reclassified license categories and regulatory obligations in line with the growing trends and emergence of converged licensing frameworks for telecommunications and broadcasting. He explains that this encourages new entrants, equitable regulatory treatment of players and increases competition. He says that UCC completed the review of domestic mobile interconnection rates from Shs 112 to Shs 65 and that this is expected to reduce barriers to entry, promote retail price competition and increase service variety. UCC has developed more partnerships in the development of the communications sector including partnerships with Intelsat and ITSO on broadband connectivity in rural areas and the Republic of Korea on Spectrum Monitoring. Other partnerships according to Mr Mutabazi are with ITU on cybersecurity and online protection; academia on research and skills development among others. He says Uganda’s communication sector has achieved increased recognition in the international ICT fora, including but not limited to the ITU, ATU, ITSO, and EACO. He adds there is an enhanced capacity of operators to address cybersecurity incidents and working with sector players and that this will continue to empower consumers to detect and protect themselves from cybercriminals. Mutabazi notes that there have been challenges especially the misuse of communications services by criminals resulting in fraud, kidnap and murder. But he says that as start the New Year, we should relish the challenges that lie ahead and note the need to be more vigilant about both our personal and collective security. “UCC will now increase support to broadband services arising from the implementation of the broadband policy and further, strengthen the regulatory framework to promote sector growth and protect consumers due to the implementation of new regulations,” he added.